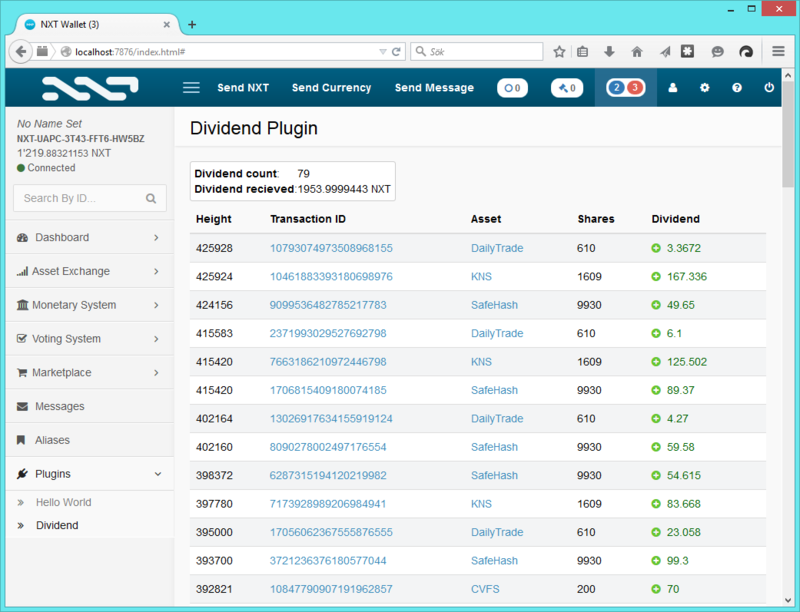 Unzip, and move the "dividend" folder to your nxt\html\ui\plugins - folder. 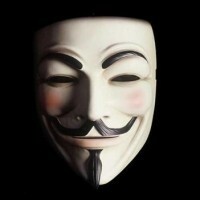 Have you ever wondered if you recieved any dividend from your assets? Have you ever known that the asset has payed out a dividend, but you are not sure how much you got? It will show all dividend payments recieved by the current logged in account, and a summary showing the count & sum of all recieved dividend payments. It will need to process current accounts entire asset trade & asset transfer history to calculate number of shares at any given height. So for some heavy trading users loading the list can take a minute or two from logging in to the client. As an example, loading an account with 23'000 asset transfers took ~40 seconds on my local machine. Please note that this plugin will only show the native dividend transaction (type=2, subtype=6), and NOT the ones payed by Dividends+ from MGW/superNET." Time for everyone to get back to the Asset Issuers and tell them they can use native dividends safely now. No more complaints about no dividend sent. No more accusations and no more arguments. Well, there are pro's and con's to each way of doing it. The biggest advantage of the native dividend tx is that you only pay 1 NXT in fee, while the Dividend+ means you have to pay 1 NXT per recipient. On other hand, you can personalize the message with the , and you don't have to use a plugin to be able to see that you received something." Nice one, I made a similar one that charts the results without showing you the details (https://nxtforum.org/index.php?topic=9373.0). I like your solution as well. I will check it out.